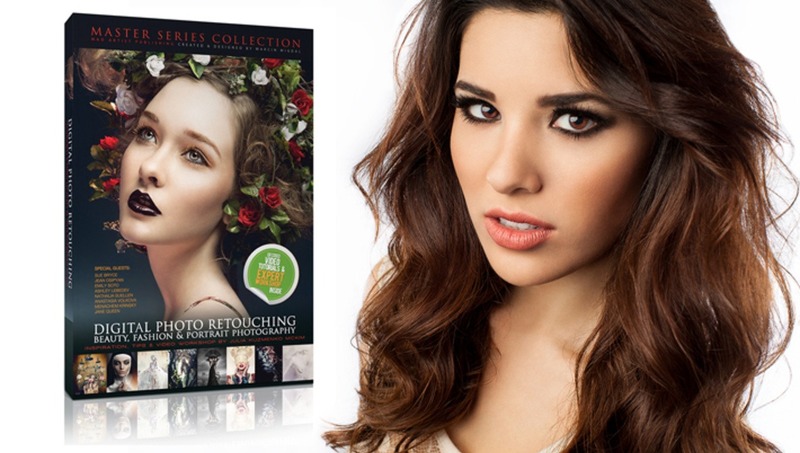 In this review I am going to cover a few points on what makes this book an amazing stepping stone in furthering your retouching education. I am going to go over the content of the book, the layout and other interactive features. First though, I would like to point out that this book is not for a Photoshop beginner. If you're new to Photoshop I suggest taking the time to learn all of the basic functions like blend modes, adjustment layers among others before picking up this book. 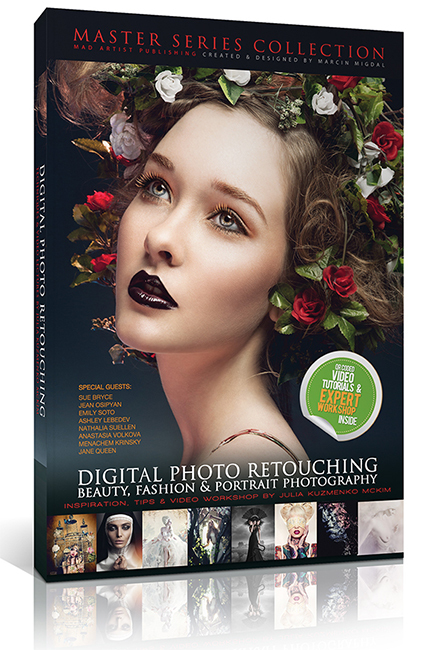 I also recommend picking up Julia's other book 'Creative Retouching Essentials in a Day'. I believe that these two books are the perfect companions to each other. Pick up the Essentials book first to learn about color theory management, the tools that you will need to properly retouch (brushes, clone stamp tool, patch tool ect...) and even how to customize your workspace. Download times were extremely fast once I was sent the email from Julia's website, although this will vary depending on your download times and service provider. The files were compressed in a .zip file and easy to open on my iMac. My initial reaction while going through the .pdf file was just how colorful the book is. The pages are all different colors and is also packed full of images. This can be both a good break between the information in the book, but can also be a distraction depending on how you read and your attention span. The images are mostly full paged and are extremely detailed. They also come with all of the EXIF data and an estimate of how long the image took to retouch, attached to the image along with an extra tip to help you along your way. Julia begins where all retouching starts, your camera. We all know that the more correct you get an image in-camera the less post processing you'll need to do in Photoshop or other editing programs. She goes over tips on things that we sometimes over look, like white balance, file formats and even the LCD screen on your camera. Following those tips she gives an interesting look into the photographer-model relationship and what you should expect out of your models and what you should ask of them. Some of the smallest details that she goes over I have found to save me a good amount of time in post work. I never knew that just asking your models to follow some simple pre-shoot regimens could save me that much time. Now, we get onto the retouching portion of the book. Let me start off by saying that after reading just one page of this section I had to stop myself and take a moment to retain all of the information. It's a lot of knowledge packed into one page. I am not a beginner of Photoshop by any means, but there were so many things that I learned from one simple page that I didn't know where to start. I was tempted to open a few images to start practicing what I had just read, but I stopped myself and kept reading knowing that if I jumped ahead I might just miss a step in the workflow that she explains. 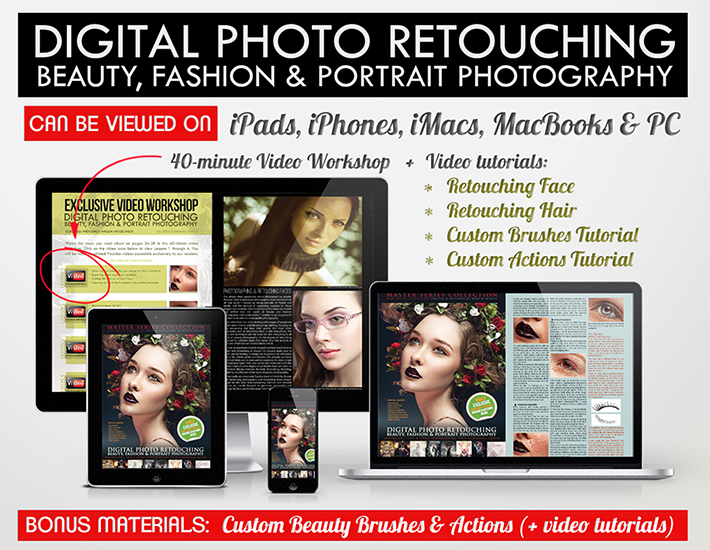 For every portion of retouching that she goes over, whether that be retouching skin and how to make it silky smooth but with the right amount of texture, to fixing unwanted upper-lip hair, or reducing shadows that can make your subject look older; each major workflow step comes with a retouching tutorial video. Oh, wait... did I forget to mention that this book is packed full of video tutorials? Silly me. Yes, the tutorials are a great extra feature. It's nice to see her tips and techniques in an actual video format instead of just reading them. There are retouching videos spread across the vast internet field such as Youtube, but what's so special about these particular videos is that you can also read along. I usually watch Youtube tutorials and have to pause the video several times just to catch up, with Julia's, I also have the same tutorial written, so it's easier to follow. I will point out that the video tutorials only come with the electronic version of the book and not the printed version. 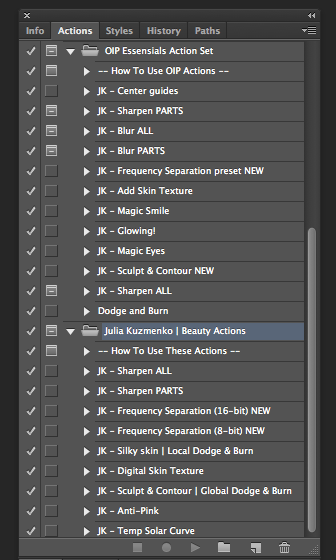 The e-book also comes with Julia's beauty actions set and a set of beauty brushes, which I have found extremely useful in my everyday retouching. The action set alone is worth the purchase, and I think it's a lovely addition to the book. With actions such as silky skin texture, frequency separation for both 8 and 16 bits and sculpt and contour it will cut your retouching times dramatically. She has another set of actions available with her previous book which I also use daily, (the actions that you see above the beauty actions set). What's also great about the book, is that it doesn't just cover retouching subjects, but also touches on valuable information that you won't find in your typical retouching books. There's a section about copyright myths written by a lawyer, a chapter all about modeling agencies and booking agents, a chapter on self-promotion and the most impressive in my opinion is the section of the book that features some of the world's leading and most successful photographers, retouchers and digital artists. 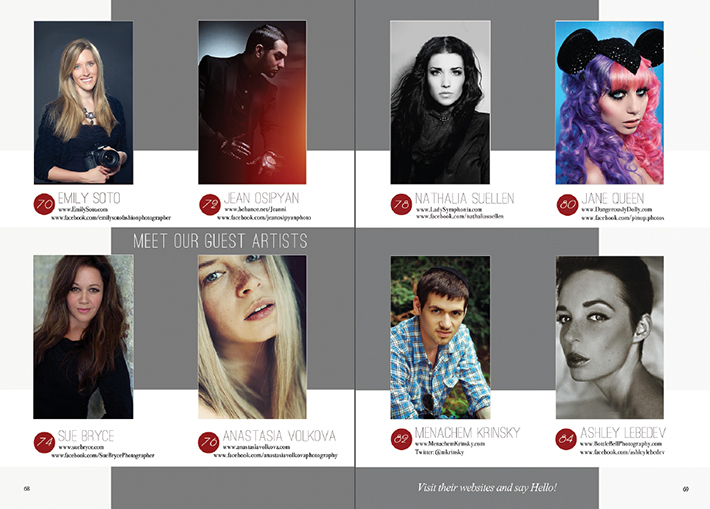 People such as Sue Bryce, Nathalia Suellen, Jean Osipyan, and Emily Soto among others. Each artist reveals a little bit about their work, some insight on the industry and each gives a tip to all of those learning to become great photographers. This to me solidifies Julia's work and her teaching techniques. It proves that the techniques taught in this book are not only top quality, but also has the support and backing of some of the best talent in our industry. How has my own personal work improved? Before I read this book I was like countless others and desperate to find retouching advice and help on the internet. I would spend hours searching for online tutorials on the subject and the majority that I did find were mediocre at best. After I read the book it was easy to follow the workflow that Julia has laid out and the techniques that she teaches. It still took some time though. When learning a new technique I find it's better to take your time and learning it throughly instead of rushing through it and creating something that is sloppy. With some time and practice you'll find that the techniques taught in the book will become second nature to you and your retouching speeds will increase. Here is the first image that I retouched after reading the book. It's far from perfect, but I think it's a great start. I was never an amateur at Photoshop, but I am still very much a pupil to the complex program. I saw a dramatic improvement over this single portrait. I know that the more that I practice with these new techniques the faster and better my retouching will become. This is a book for any of you struggling to figure out just how the fashion and beauty photographers of the world create the amazing work that they do. If you know the basics of Photoshop and can handle some more of the advanced features of the program then this book is perfect for you. If you're new to Photoshop, lighting or photography in general, then you might want to wait it out, learn and master the basics and then invest in this book, because after all I don't see this book as just another instructional book, I see this as an investment into furthering my photography education and will help broaden my skill set as a photographer. You can buy the book at Julia's website for the price of $89.48. This is for the digital copy with all of the extra video tutorials and the actions/brushes sets. Oh my god I need to get myself a copy NOW. Was waiting to scroll down to the bottom and read something like "all yours for $299" WOW is all I can say. Most likely buying this, seems incredibly valuable all for the cost of a few beers on a Friday night in NYC. Julia is awesome! I follow her work from the beginning and even then, at the beginning I really liked her way of retouching and What is most important she is every time better and better. I've followed Julia's amazing portrait and processing work since I found her on Flickr. Have been tempted to get this book for a while now. Rebecca - About how long per image would a typical workflow like this take? That would be my only curiosity. The first time I tried it. It took me over 2 hours now its about an hour or so, depending on the amount of detail in the image. It really is worth purchasing if you're curious about glamour retouching. Thank you Todd! I will let Rebecca answer your question, but I can tell you about myself and some retouchers I know - a close-up beauty image can take anywhere from 1 to 20 hours. My average time is 1 1/2 to 2 hours. Usually it depends on the input image quality (your lighting, the model's skin and makeup artist's work) and the output required size and quality - if it's for a private client, you don't need to do pixel-level skin retouching, but if it's an image for an advertising campaign and will end up on a billboard, you may have to go for many hours. 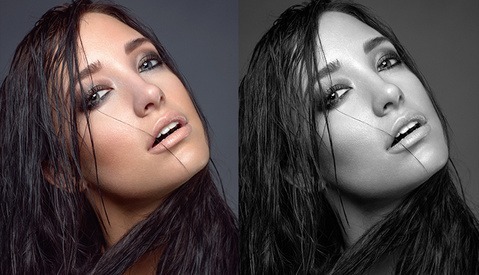 check out her retouching page...wow! nice work! no way to translate to Portuguese of Brazil? Julia is insanely talented! I wouldn't hesitate buying her next e-book. I was/am very interested and I went ahead with the purchase. I was unable to download and save the link and now it is telling me that the link is expired. It hasn't been 10 minutes from the time of purchase. Wow! Antonio, I am responding to your email right now. The download link is not only time-sensitive, but also download-attempt sensitive, so if your internet connection has been interrupting during the download, e-junkie counted them as download-attempts, that's why it tells you it's expired. Don't worry, I will re-activate it for you right now. Just please make sure to download it on your computer, not on iPhone or iPad. I like this review. Not only was it informative, but it gave something I don't normally see which helps determine whether the product under review can live up to it's objectives: a sample of the techniques actually being applied by the reader (reviewer). Agreed! That stuck out in my mind as well as being noteworthy about this article.